Hardly a week goes by where I do not see an article proclaiming the impending death of classical music, or offering ways to revive the art. I must admit that I am quite young and perhaps not the best expert on the state of classical music in today’s world. 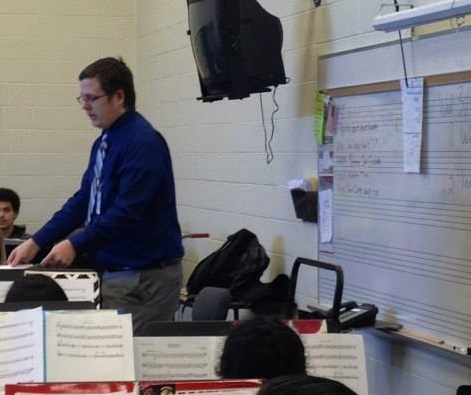 I am, however, a music educator who dabbles in the art of composing for a type of ensemble that is thriving. Many of those who claim art music is dying simply ignore the fact that wind band music is an exciting and growing medium, and composers are taking notice. His symphony “Circus Maximus” is just one of many works being commissioned by great wind ensembles. John Mackey recently wrote a band symphony. University wind bands have commissioned numerous works, including a concerto for saxophone and band by Steven Bryant, a trumpet concerto by John Mackey, and a song cycle for winds and voice by John Mackey. Joe Alessi, principal trombonist of the New York Philharmonic, recently commissioned a trombone concerto from John Mackey and another from Stephen Bryant. Wind bands are commissioning new and exciting music from great composers and great performers are also enjoying these fruits. School bands are also commissioning a great number of works. Whether to celebrate some event, have a new piece of music for an honor ensemble, or to mourn a tragedy, bands around the country and around the world are interested in playing new music. Some bands commission works from composers simply because they like their music. Even Philip Glass, early in his career, wrote for school bands. Is classical music dying? Well, I guess it depends on your definition of classical music. But from where I stand, art music is alive and well. This entry was posted in Uncategorized and tagged classical music, classical music is dying, classical music is not dying, dead, dying, music, soap box, wind band on 11/03/2016 by jasontaurins.